Wine writers love to talk about wine writing. They love to talk about why they do it, who’s doing it, who’s doing it well, who’s doing it badly, the right way to do it, the wrong way to do it, whether it matters, whether casual writers (“bloggers”) are as influential as serious writers (“writers”), how to write tasting notes, whether to write tasting notes, whether tasting notes matter. Rarely (ever?) 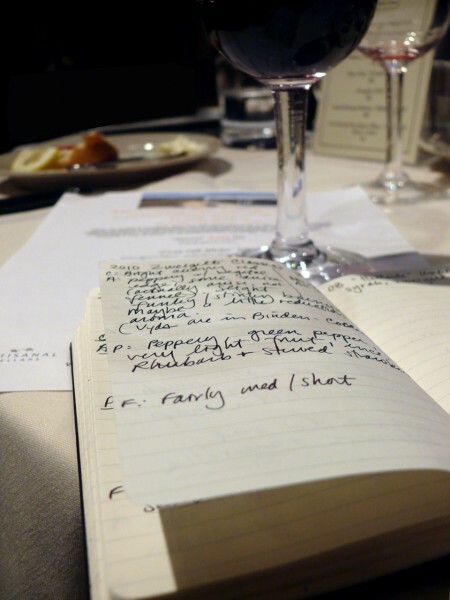 do wine writers write about how to get better at writing, and what they’re doing to become a better interpreter, advocate, and muse to wine-curious, wine drinking readers. There’s a symposium for wine writers, and guilds and circles and groups. But writers don’t, for the most part, write about the craft itself, place themselves within a milieu, or ruminate extensively on what it might take to transform their prose into meaningful, substantial, new thinking about wine. I spend a lot of time thinking about this. Admitting I need to become a better writer is probably self-sabotage in the cliquey world of wine writers. If nobody else thinks aloud that they need to grow, but I do, does it look like weakness? But everyone is growing. We’re writing books, going pro, ditching point scores, adopting point scores, ditching blind tastings. We’re moving on to reach a trade audience, or to become absorbed into a winery as a marketing writer. We’re writing for travel mags, golf mags, parenting mags, and—other mags. We’re trying to work out how wine fits into culture, and what to say about that phenomenon. And we’re all reading and learning from each other. All of these different types of writing require a different voice, audience, approach. Writers must develop a purpose or vision about their writing and whom it’s for, and formulate a strategy for their publication (if they self-publish), their column, or the body of work they’re building as a corpus. An identity develops organically, but it can also be fruitful to bring these questions to a level of consciousness: What are you compelled by, and why? What stories are you most driven to pursue? How will you tell the tale? 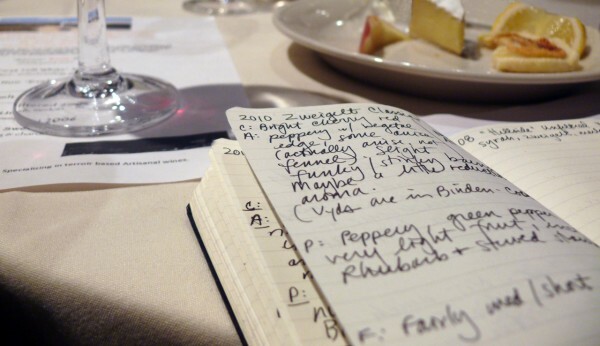 If you do write tasting notes about wine, what’s your style? Do you provide information and context about a wine, winery, and winemaker? Or do you present your notes as evidentiary summary, with a recommendation and rating? Are you a wine critic, wine writer, wine journalist, wine blogger, or something else? And how has this changed for you over time? I’m trying to formulate the approach and identity that feels right for me. I’m not really a journalist, and don’t consider myself a wine critic. I think of myself primarily as a creative nonfiction writer. I’m a writer first, wine writer second. My responsibility is to my reader, someone for whom wine occupies a very small part of daily consciousness. My audience is not the wine cognoscenti, but it is literate, thoughtful, engaged, humanistic, and curious about ideas. I like writing about wine because it’s so damned hard to write about. I’m trying to get better at it. It’s a shifting target, changing as I learn and grow. I’m trying to bring my own practice to the level of consciousness. Every wine topic has already been covered by someone else, dozens of times. The best thing I can contribute as a wine writer is a fresh perspective and a new voice. Admittedly, on many days, it’s difficult to find value in this exercise. I must reach. Every story is about something other than the surface narrative. The story should use wine as a way to talk about something more fundamental. What is that story? The text and voice should say something about the subject even without saying it. Prime the reader for reading about sensual matters. Whet his appetite. Rich language helps buttress the notion that wine itself is rich, sensual, tactile, and sensorial. Write to the highest common denominator. Assume infinite intelligence without prior knowledge. Explain the material without encumbering the text or insulting the reader. Write fewer evidentiary pieces and more reflective pieces. Ruminate and trust my own ideas. But dig deep. Use the techniques of journalism to make each piece flawlessly factual, but still creative. Insert myself into the narrative to show the reader how I know what I know. The lens should be cultural, not wine-centric. Wine exists in culture, and rarely comes first. Put wine into context. Read broadly, especially creative and journalistic nonfiction. Examine the machinery of the pieces that affect me most. Experiment. Write a lot of different kinds of pieces for a lot of outlets and watch what happens. If it’s an online publication, review the stats, keyword referrers, and social spread to determine what’s connecting, not just what I think is connecting based on anecdotal evidence. A corollary: don’t write only articles that will be popular. Push myself. Keep asking myself what’s working for both my readers and myself. Where do I want to go with this article, this series, this publication, this year? The wine writing of others is instructive, but it is not a complete instruction. Get outside the circle. Self-relection, goals, meta-cognition-all important parts of the learning process. Great piece. I am so often reactive rather than pro-active. Perhaps it is due to my overly full plate, perhaps lack of organization, but either way, you’ve inspired me once again. Thank you. It is a lot easier to write about wine if you study the science for a while. Grow some vines for a few years. Study soil geology. Study yeast and bacteria, so called native ferm. vs inoculated vs double inoculation. Study oak in Missouri, Minnesota, France, Hungary. Interview Clark Smith. Go to Beaune for a few weeks, spend hours in the cold, damp, moldy, cellars there. Learn about sunlight affect on berry composition. So much to learn, so little time. Content rules. I was a writer of other things first, and writing about wine is so absolutely challenging and still thrilling. I have so much to learn and so much to share… and a lot to learn about how to share this art, science and poetry. I look forward to learning alongside you, virtually. 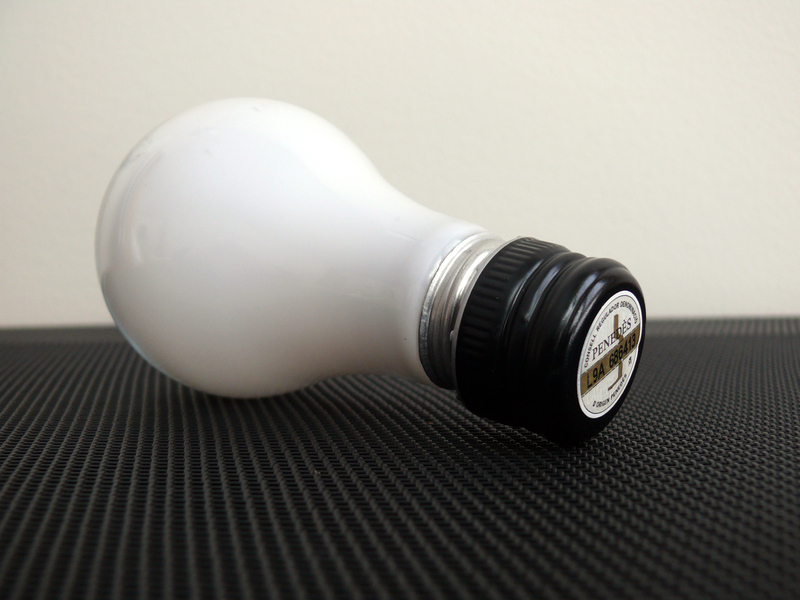 When I started my blog about wine, my intent was to cater to the novice and to keep it simple. I have a decent following on my blog, but when I read something written by someone I would classify as a pro, like you or Alana Gentry, feel like my blog lacks luster. However, I still want to cater to the novice and try to keep people from feeling intimidated by wine. But I would like to improve my vocabulary. I seem to use the same old descriptors all the time. One of the most cogent and apropos wine/writing articles I’ve read in a very long time. Bravo! I think that whatever kind of writer we are or what we write about, each piece of writing is a rumination on itself and how to write better. Even something that may seem as rudimentary as a wine review must start with the question: “How do I get to and convey the essence of this wine?” I’ve written reviews of art exhibitions not quite as long as I have written about wine, and it’s not surprising, in a way, how similar the endeavors are, each enterprise involving intention, gestation, style, materiality and result, but the reality is that all writing comes from both within us and from outside. Jean, don’t worry about “descriptors,” whatever those are; write what you feel and taste and think. And I agree with Alana: Meg would be a great speaker or at least a seminar leader at WBC. Great inspirational piece – really like the way you dared to raise the questions we all face. I often wonder how I can improve my writing. I sometimes struggle finding the correct words – French seems to pop up instead of English at the weirdest times. I like seeing the edits and comparing them to what I originally wrote – it is valuable help to improve. Many thanks, all, for your kind and thoughtful remarks. Donn, I concur: learning about winegrowing has been a critical component of the exercise for me. I’ve grown my own food organically for nearly thirty years, so have a good appreciation for the complexity of coaxing nourishment from soil. I managed to get a reasonable, if partial, education in both viticulture and winemaking while working for two years at a California winery. Winemaking is an amalgamation of farming and food making, neither of which are easy.